Friends of Tiger Band is the official organization for all PUB alums and supporters; members generally receive a paper mailing several times each year. Members of the Band automatically become members of Friends of Tiger Band upon graduation. Alumni supporters of the Band who weren’t Band members are also welcome to become members of the FOTB. We also welcome parents of current and former Band members, and other members of the public who wish to support the Band. To join or become more active, contact FOTB President Julie Aromi ’15 at julie.aromi@gmail.com. If the paper FOTB mailings don’t seem to be reaching you and you are an alumnus, first make sure the University’s Alumni Records folks have your current paper mail address. (E.g. does the Princeton Alumni Weekly reach you? If necessary, update your address with Alumni Records.) If that’s not the problem, make sure that Alumni Records has you registered as a band member. If all else fails, contact Julie. The Friends of Tiger Band was reorganized in 1998 to have a Graduate Board, led by FOTB President Jonathan Mendelson ’97. The FOTB acts to further the Band’s interests through leadership, networking, communication, and fundraising. Its most visible functions include hosting Band Reunions following the P-Rade, and publishing the FOTB newsletter. Equally-important are its financial support of many of the Band’s capital needs, and its support of the Band officers in dealings with the University administration. 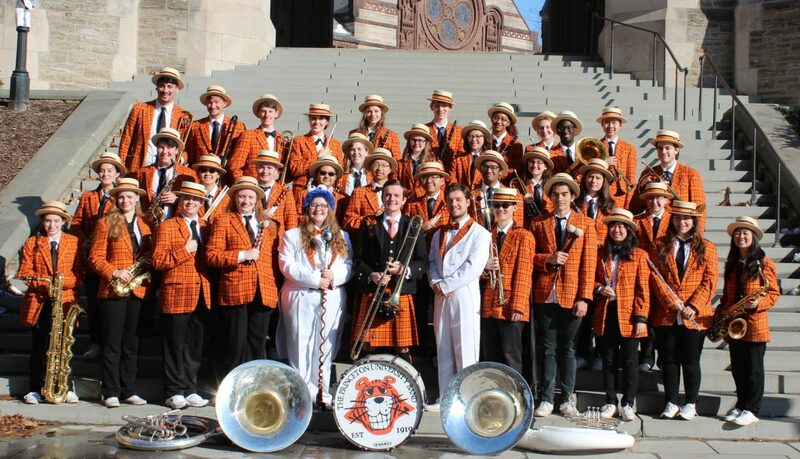 Most recently, the FOTB established the Princeton University Band Endowment, intended to ensure financial security for the Band for many years to come. The FOTB meets annually during Reunions; all FOTB members are welcome and encouraged to participate in the board meeting. More information about the Friends of Tiger Band is available from the FOTB web site.